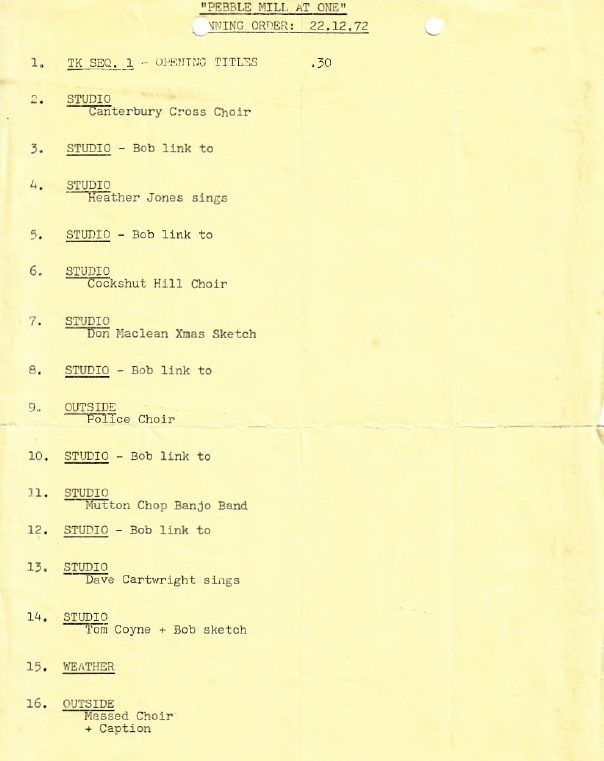 This is the running order for the Pebble Mill at One show on the 22nd Dec 1972. It was obviously a Christmassy choral show, with comedy sketches from Don Maclean and Tom Coyne. Bob Langley was the presenter. Thanks to Keith Brook (Scouse) for keeping this running order safe, and for making it available.